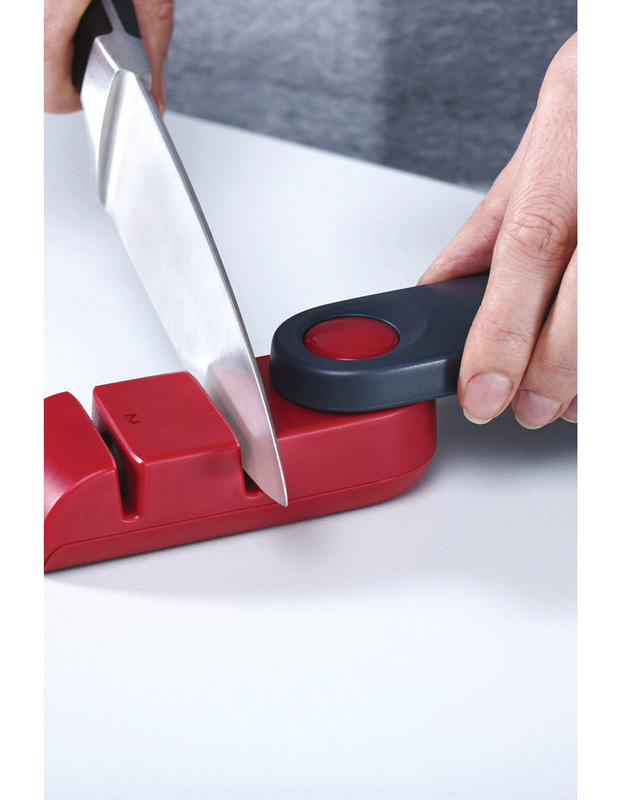 The unique, rotating design of this stylish knife sharpener provides two key features. 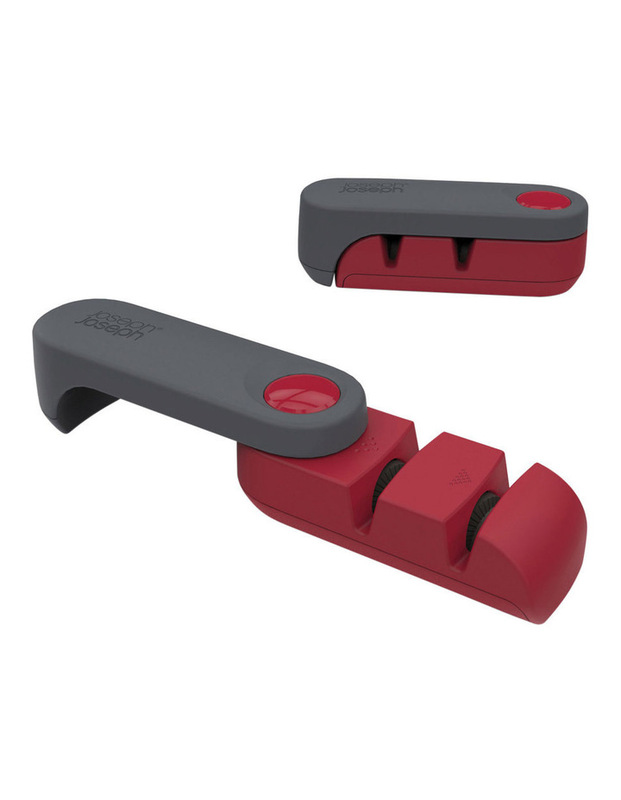 - Firstly, when opened out, it creates a safe, ergonomic handle to hold when sharpening. - Then, when finished, the handle folds neatly away again, creating a compact unit that stores easily in a drawer. It has coarse and fine ceramic sharpening wheels for maintaining knives with a variety of blade conditions from dull through to damaged edges. Non-slip feet on the base give added stability.